Located at 900 metres from Woodlands Bay, Woodlands Estate House features a private outdoor pool and terrace with BBQ facilities. It offers free internet access and free private parking. House Estate Woodlands’ air-conditioned villa features a fully equipped kitchen including a microwave, refrigerator and oven with dining area and a seating area. The private bathroom offers a bath or shower and a toilet. Scuba diving, snorkeling and hiking are activities in the vicinity of the property. Lime Kiln Bay is 6 minutes by car, while Bunkum Bay is a 10 minutes’ drive. John A. Osborne Airport is 8km away. 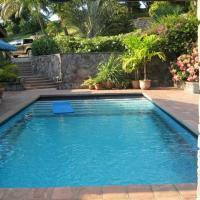 Located close to Woodlands Bay, Alta Loma features an outdoor swimming pool and garden. It offers free Wi-Fi and free private parking. Alta Loma offers bedrooms with king, queen or twin beds. All have en suite bathrooms with a bathtub and shower. 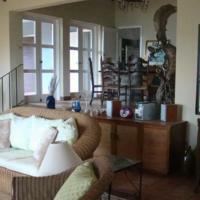 It features a kitchen, dining area and living area with sofa and books. Guests may find a variety of restaurants within 2 km. Activities in the vicinity include swimming, snorkeling, scuba diving and bird watching. Woodlands Bay, Lime Kiln Bay and Bunkum Bay can be reached within 5 minutes’ drive. Plymouth is around a 10-minute drive away.